Walking into Dr. Davis Houck’s office is like walking into your favorite coffee shop. There’s a couch on the left wall that you sink into as you sit down, framed images scattered across all the walls of the office, and books littering every possible inch of space. The hallway it sits in is a large U, and because it sits in the corner of the U, the office has two large windows that let in plenty of light no matter what time of day it is. As I sat down with Dr. Houck, he explained the significance of the images hanging on his wall. The photo was donated to Dr. Houck by the Sims family after some of his students created an award-winning documentary in 2016 called 641 Muriel Court. The family donated that picture so that Dr. Houck and the students involved so that they could know the faces and names of the people that they did the documentary on. But woven into the family’s story is a rather surprising person who Dr. Houck told me a little more about. Roberts was a pastor in Tallahassee at the First Baptist Church, and how Dr. Houck came to find out about Roberts is an interesting story. The importance of rhetoric in the civil rights movement is something that Dr. Houck has been passionate about since his first years in college. “When I was a first-semester freshman at the College of Wooster and was looking to fill out my schedule, a friend recommended that I take Dr. Yvonne Williams’ Introduction to Black Studies course. I’m so glad I did as that course opened my eyes to an entirely new world of American history—a history that I’d grown up in but had never been taught. From those small seeds that Dr. Williams planted in 1985 grew an interest in a subject that hardly seemed real at times, such were the countless injustices visited upon black children, women, and men in our country. I got to say a long-delayed “thank you” to Dr. Williams in 2009, dedicating my book on women and the civil rights movement to her. After doing so much research for his books, you would think that Dr. Houck might have had enough of the stories of injustices that plague the civil rights movement and those that fought for freedom, but to him, it’s quite the opposite. Finding and telling those little-known stories are in fact what keeps him interested in a topic he’s been focused on for quite some time now. “Professionally, finding those speeches by local activists has been a major passion of mine for the past 10 years, searching in archives, libraries, newspapers, and out-of-print publications that fill out our very incomplete understanding of how the movement really moved. I’m involved just now in telling the story of Fannie Lou Hamer to public school teachers in Mississippi in order to make her part of the K-12 school curriculum. Our team is also working on an hour-long documentary, funded principally by the Kellogg Foundation, in which Mrs. Hamer tells her story entirely in her own words. So much of our civil rights history disappeared upon utterance decades ago simply because many activists didn’t have local or national media following them; as such, reconstructing what they said is really difficult. I did just that after our initial interview and found a captivating video celebrating what would have been Ms. Hamer’s 100th birthday. The message is moving, but if you look closely enough you’ll notice both past and present images intertwined to tell a visual story to accompany the speech Ms. Hamer is giving in the background. Along with the documentary of Ms. Hamer, Dr. Houck has published several books about the stories of other individuals during the civil rights period. One of these books is about Emmett Till, a young man who was tragically murdered at the age of 14 after being accused of offending a white woman in a grocery store. Published in 2008, “Emmett Till and the Mississippi Press” analyzes the media’s reaction to the lynching of young Till. Dr. Houck even created an app around Till’s story, a sort of treasure map of over 50 different locations that all have some sort of relation to Till’s story. So how did Dr. Houck, a young man from Ohio who got his B.A. at the College of Wooster, his M.A. at the University of California in Rhetoric and Communication, and then his Ph.D. at Penn State University in Speech Communication, land himself in Tallahassee? Well, his journey to teaching itself was largely by accident, if you ask him. “I come from a family of engineers and artists, not teachers and professors. But I had a very influential professor as an undergraduate at the College of Wooster (in Wooster, Ohio) who showed me the big wide world of rhetoric and convinced me that I had some talent for the subject. Once I was in graduate school at U.C. Davis, and had the opportunity to be a teaching assistant, that experience in the classroom was really exhilarating and showed me the next steps. I started my career at FAU in 1996, after finishing my Ph.D. at Penn State. As much as I liked that first job and really loved the students in South Florida, living on top of people wasn’t my thing, long-term. 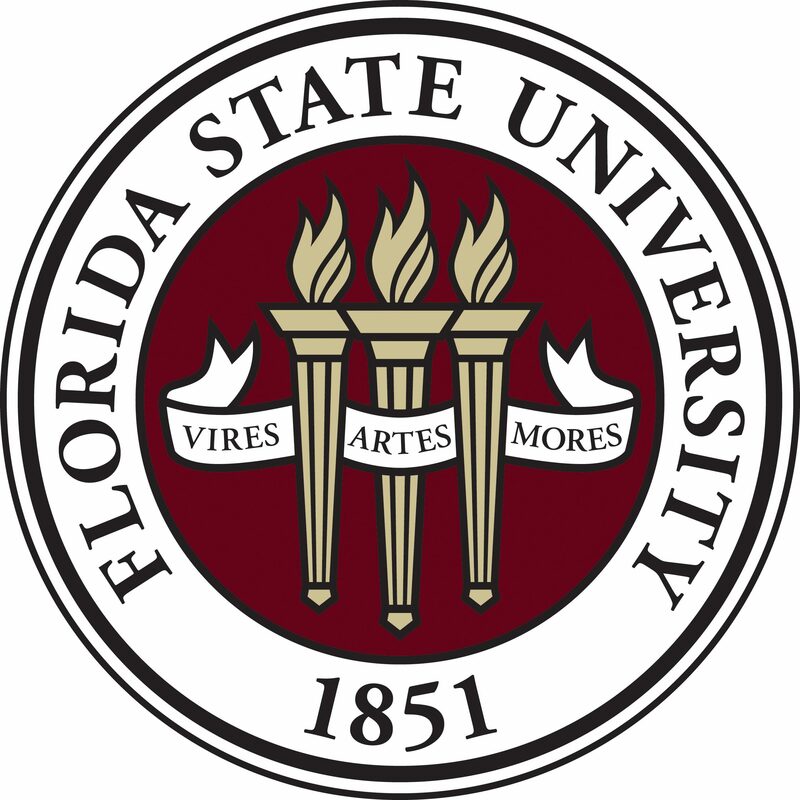 So when a job came open at FSU, I was fortunate to get the offer and immediately took to the area. While it’s not Ohio, its rhythms and space are much more in keeping with what I grew up with and what I like. And Dr. Houck’s favorite part of teaching at FSU? “Teaching students is always the best part of my job, sharing my world with them, but also learning their stories, too. A good teacher listens to a student’s story and folds it back into the subject under discussion. That’s challenging because it’s happening in real time, but so rewarding for everyone in that class. Those experiences also encourage other students to share their stories, creating an electric teaching environment where we learn from each other—rather than from some dopey and inert PowerPoint slide.